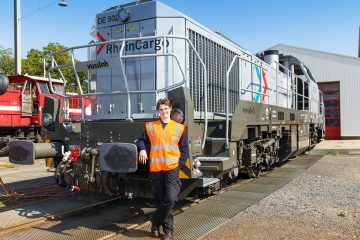 Alstom is about to provide new customers with H3 hybrid shunting locomotives. 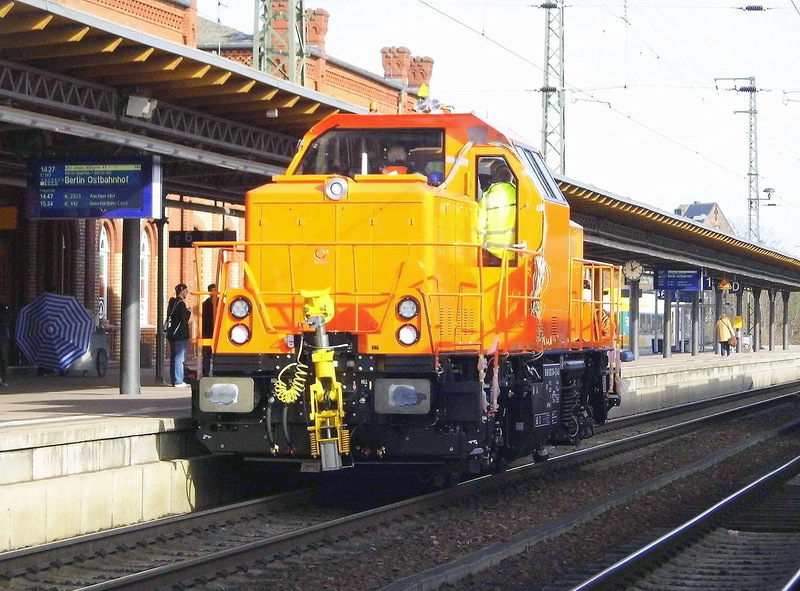 The photos in this article show two H3 locomotives built for DAL > Chemion (Orange) and Stickstoffwerke Piesteritz (SKW, white). 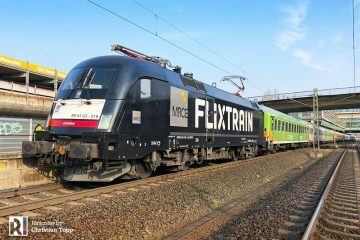 Andy Meier was able to photograph both locomotives recently around Stendal during test runs. 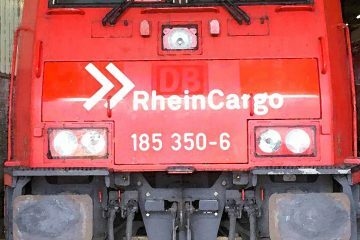 Chemion Logistik is to receive four locomotives leased from Deutsche Anlagen-Leasing (DAL); the designated 1002 014, 1002 015, 1002 017 and 1002 018. 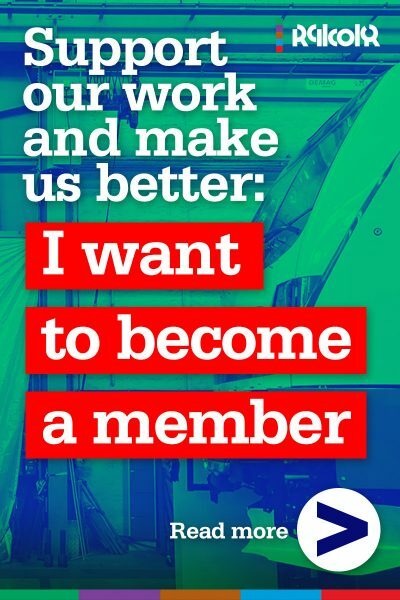 They will be operated at Chemion’s factory sites in Leverkusen, Dormagen and Krefeld-Uerdingen. 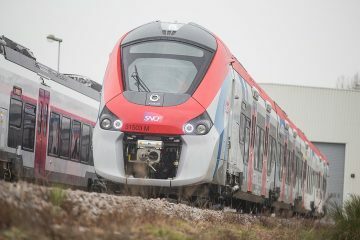 Chemion hired one H3 locomotive in November 2015 (no. 1002 006-7) for evaluation and the the results were positive, hence an order was placed in 2016. 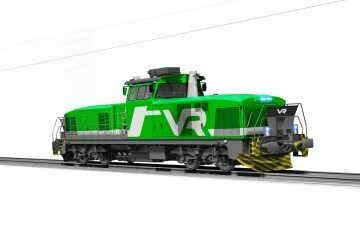 The Chemion deal also includes the acquisition of four second-hand Vossloh G1206 locomotives, that are completely overhauled by Alstom before delivery. 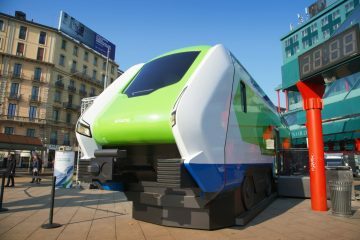 Alstom will be responsible for all service and maintenance for both the H3 and G1206 locomotives for the first 8 years of service. H3 unit no. 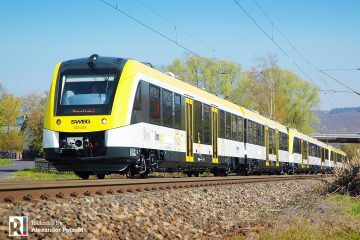 1002 020 will be delivered to Stickstoffwerke Piesteritz GmbH (SKW) this year. SKW is a producer of ammonia and urea, specialized in agrochemical and industrial chemical products. Check out the complete production list of Alstom H3 locomotives here.